The animal rescue group Austin Pets Alive! has a problem these days. It's not a bad problem to have, but it's still a bit of a problem. 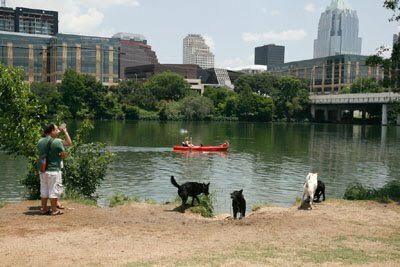 The Town Lake Animal Center has agreed to let Austin Pets Alive! use six of its cages to house dogs overnight. APA will take the dogs out to adoption sites during the day, then will keep animals that were not adopted at the shelter overnight. The agreement is the first of its kind in Austin, but it presents APA with an immediate need for a new adoption site. It also needs about $10,000 for a transport vehicle and pens and tents for the new site.